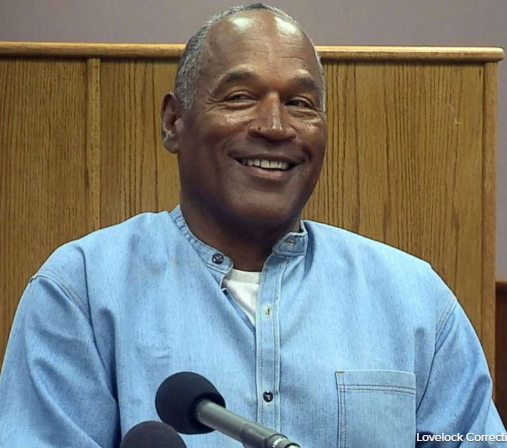 A group of Nevada Commissioners on Thursday granted O.J. 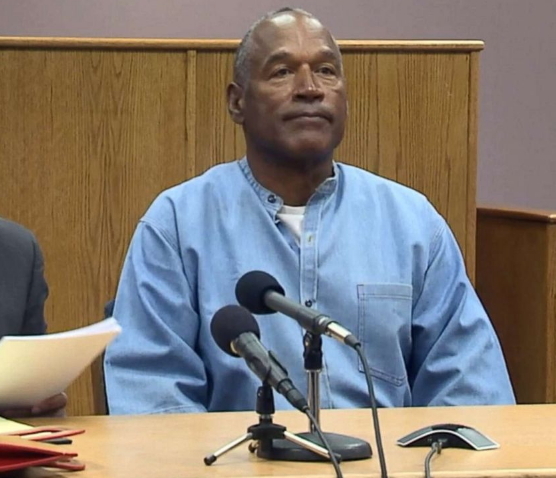 Simpson parole 9 years after he was jailed for a robbery case in Las Vegas. The 70-year-old told the parole board few minutes ago that he didn’t intend to steal on the day the robbery happened back in 2007. 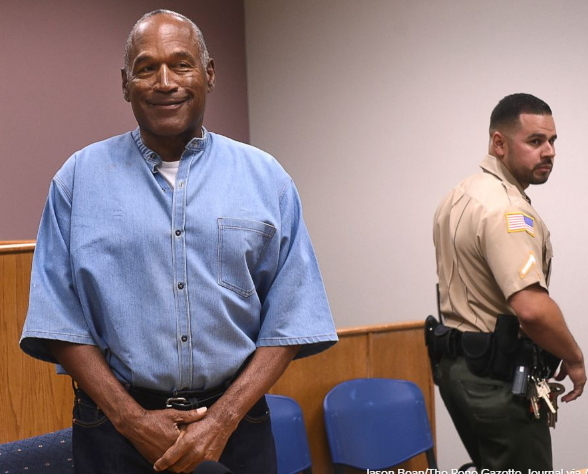 Simpson added that his incarceration has humbled him. The former NFL Player could be released as early as October 1st 2017. Here are some photos taken during his parole hearing few minutes ago. Just finished watching it. Hope he does not mess up. He will be released on October 1, 2017. The guy did not commit armed robbery. Everyone knows that the Chinese judge based her judgment on Nicole and Ron Goldman case of 1995 and that was wrong. This guy is the most dumbest human being I have even seen in my life. He allowed himself to be roped in for robbery offense he did not commmit. In 1994 when he won that murder case against Nicole and Goldman’s family, he should have relocated abroad and keep low profile because he knew the type of Country he was residing in and for a black man to win a murder case against two white victims will definitely cause a very strong feelings of annoyance among white folks. Just because the white people do not want him to go Scott free on murder case he was set up for an armed robbery crime in Nevada. What happen was, a fake white friend of him told him that he knew a place where all his memorabilia was sold while he was in detention. 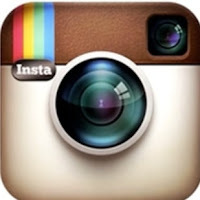 Memorabilia is a memorable objects connected with famous people or event. It may be a signed Authograph, photographs, Baseball bat, hat, award, Jersey etc. OJ Simpson is an American footballer and he has a lot money at that time. These objects were stolen or suddenly disappeared in his mansion when he was going through the murder trial. After winning that case he was bold to search for him lost memorabilia. I don’t know what wrong with this Guy who continued following white people and make them his best friend. I’m not a racist but he could have cautioned himself more. That guy lure him to that place and trick him to go and remove them in another man’s property, that was how the guy called police on him. Since they have been looking for a way to nail him, they finally succeeded. The funniest thing is the other guy was never charged along with him. They want to release him because they just want to punish him for the previous offense which he won in the court. Jilo you are right in your analysis of what happened to him. I bet you he will go back to have a White girlfriend. He enjoys white women a lot. He is that dumb and stupid. This is why I said (above) I hope he does not mess up. The Chinese judge they used in the armed robbery case against him based her judgment on the 1995 case (for which he was not found guilty). The incarceration was indirectly for the murder case.